Jose Mourinho’s job has seemed safe at Manchester United so far, primarily due to the lack of any worthwhile options to replace him. With Zinedine Zidane’s agent having confirmed that the Frenchman has no interest in managing the Red Devils, the inexperience of Michael Carrick, and the potential inadequacy of Antonio Conte, Mourinho seems well cemented at Old Trafford despite the problems at hand. 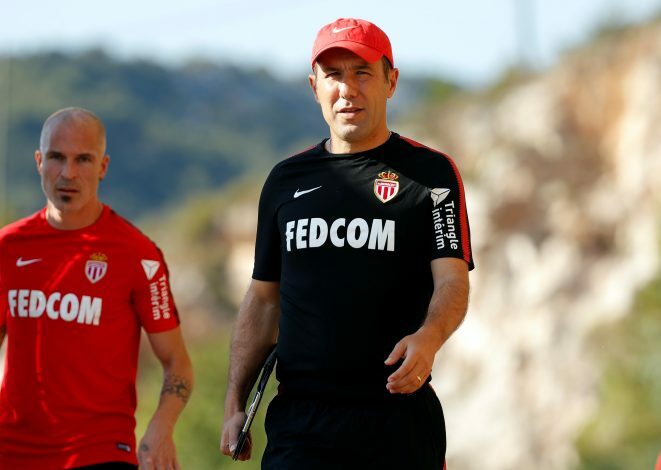 However, all that could change now, as Leonardo Jardim has left Monaco after a mutual consensus in the wake of a poor start to their Ligue 1 campaign. In view of this, let us have a look as to why the Portuguese tactician could be a one-up to his compatriot in the Premier League. This analysis works under the premise that Jardim ought to be hired if United show Mourinho the exit door any time before the mid-season transfer window. The biggest merit to signing Jardim will be answering the question as to how it won’t be a mistake repeated. The new tenures of Moyes, Van Gaal, and Mourinho arguably saw three different philosophies take reign at Old Trafford, each occasion being a total reset to the post-SAF era. As of such, it is the former Monaco man who will cause the least amount of confusion at Old Trafford, tactically speaking. Jardim has shown a penchant to view the game from an academic standpoint, and his tactics reflect the same. Firstly, a change will have to be made in United’s 4-3-3 role to a more Monaco-styled 4-4-2. While it may appear drastic, particularly in view of the side’s reliance on their present attacking trident, not much will have to be changed in this set-up. In Jardim’s 4-4-2, the central midfield duo almost never play parallel to each other, with one functioning as an earnest attacking presence while the other is a holding midfielder, securing the backline. Pogba and Matic will fulfill these roles respectively, and it won’t be a major change from how they currently function, particularly given their current tendencies. In its essence, Matic would play like Fabinho did and Pogba would be a more offensive minded Moutinho. Further, this set-up would allow a smooth substitution for the likes of Fellaini, Fred, and Pereira, fulfilling the roles they are adept at. Next, incorporating the set-up would remove the selection dilemma that United’s current attacking trident poses. Jardim’s wingers are always the epitome of the centralizing tendency, and it is here that they are the most lethal. This would make the ideal use of Mata and Sanchez/Martial. Whoever between the Chilean and the Frenchman gets assigned to the left-wing will ensure that the other gets placed alongside Lukaku up-front. Moreover, the aforementioned attacking role given to Pogba will ensure that it is an all-round offensive improvement to the present set-up. 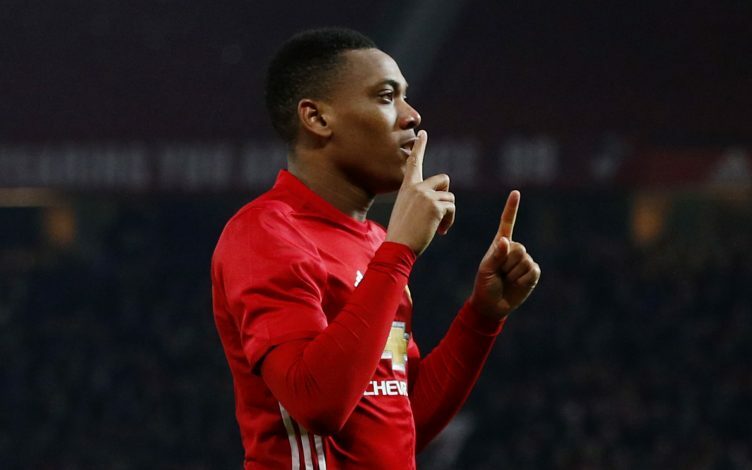 A strong argument can be made of Martial being this presence, with Sanchez retaining his spot. It is also important to note that the French youngster’s remarkable breakthrough season, the very one that caught United’s eye and led to his big-money move, came during the tenure of Jardim. As of such, it isn’t far-fetched to think that Martial could finally have a manager that places enough trust in him to start him week in and week out, rejuvenating his United career. Furthermore, the presence of centralizing wingers will ensure that United don’t have to invest into a specialist during the winter window, as Lingard and Rashford can also be quite sound in those spots. Such a set-up will give Lukaku the adequate ammunition he needs, and the kind of goal-scoring spell that Falcao enjoyed at the height of Monaco’s success could be at the Belgian’s disposal as well. A final attacking note ought to be made regarding the role of the full-backs. Shaw and Valencia/Dalot will effectively be the true wingers, given the security that the centre-forwards will be provided by the holding midfielder. An ideal goal-scoring scenario for Jardim begins with the holding midfielder opening the ball to the full-back, who rushes forward and waits for the winger to move to the center, creating space, before releasing it to the winger or the attacking midfielder, who swiftly passes it to the most available striker to bury the ball in the back of the net. Of course, the biggest concern of sacking Mourinho would be the implication it would have to United’s identity as a defensively sound team. In Jardim, the Mancunian giants will find a manager who employs rigorous defending, complete with disciplined man-to-man marking and well-cemented centre-backs. However, United may still need to dip into the transfer market and sign a specialist in the region, as Jardim’s counter-attacks often leave the centre-backs and goalkeeper at the final line. Further still, if engaging in the transfer market is too much of a woe, the club could also be grateful that Jardim has a strong history of developing young players into stellar talents. This is always been viewed as a crucial requirement by United’s board and keeping in mind that this change would occur mid-season, such an attitude will be quite instrumental. All in all, the Portuguese tactician will be a simple one-up to Mourinho, an incremental improvement without the ego or the poor rapport with the players. If the club signs him and avoids the transfer disasters that Monaco made, then the gaffer can indeed rescue United from whatever condition was bad enough that the sacking of Mourinho was necessary in the first place.